New York, NY: Harper Audio, 1993. 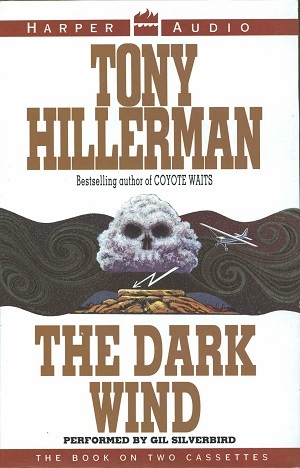 This is an abridged audiobook edition of The Dark Wind that is read by Gil Silverbird. This edition is recorded on two audio cassettes and includes a cardboard case with a full color printed cover-the design of which has been based on the Harper& Row paperback edition published in 1990. The cover design is by Peter Thorpe. Each side of the cases runs about 45 minutes (180 minutes or 3 hours of tape). Format: Audiobook, 17.9 x 11.5 cm.